Forgotten Hollywood » Blog Archive » “Forgotten Hollywood”- Oscar Honors Fitting Body of Work! “Forgotten Hollywood”- Oscar Honors Fitting Body of Work! Lansbury’s career began in 1943, when she signed with MGM. 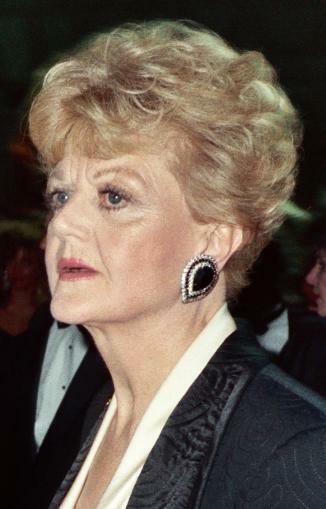 Since then, she has taken on roles as diverse as Miss Eglantine Price in Bedknobs and Broomsticks, Mama Rose in Gypsy, a singing teapot in Beauty and the Beast and, perhaps most famously, Jessica Fletcher, the bestselling author and amateur detective from the long-running television series Murder, She Wrote. Now aged 88, she is still committed to acting, having starred in an Australian tour of Driving Miss Daisy until June 2013. Angela received three Oscar Best Supporting Actress nods during her illustrious career. Her initial accolade came in her first movie role in Gaslight in 1944. The following year, she was handed a nomination for her role in The Picture of Dorian Gray. Her final recognition was in 1962 for The Manchurian Candidate. And, despite receiving six Golden Globe’s and five Tony’s, she never won an Emmy, despite 18 nominations. Tonight’s ceremony will be held at the Hollywood and Highland Center. Clips from the event may be included in the March 2nd Oscar telecast. This is the fifth year the Academy has presented its honorary awards on a different day. Along with Jean Hersholt Humanitarian Award recipient, Angelina Jolie, expected to attend include Brad Pitt, Steve Martin, Octavia Spencer, Martin Short, Tom Hanks, Diane Keaton, Mark Wahlberg, Kathryn Bigelow, Jennifer Garner, Harrison Ford, and Alfre Woodard. Kudos to the diverse and multi-talented Angela Lansbury! This entry was posted on Saturday, November 16th, 2013 at 2:06 pm	and is filed under Blog by Manny Pacheco. You can follow any comments to this post through the RSS 2.0 feed. Responses are currently closed, but you can trackback from your own site.